Since molding their first “WOW” Komfort polyurethane Klog in 1999, Klogs has always had one goal: to be “The World’s Most Komfortable Shoe.” â„¢ Since then, they have added brands, each with a unique quality and style. That’s how they enhance the Komfort experience for customers. Every Klog style offers “WOW” Komfort. And all of their styles feature outsoles and footbeds designed with a proprietary polyurethane that delivers superior shock absorption and energy return. 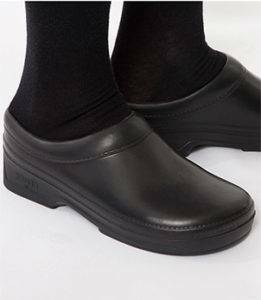 Klogs offers styles for both men and women, and they feature a removable, anti-microbial footbed. Full grain upper leather offers exceptional quality and long wear. Klogs-USA’s line of molded polyurethane clogs are proudly made in the USA. Constructed using industrial strength molded polyurethane, a material that allows for excellent slip resistance and oil resistance. 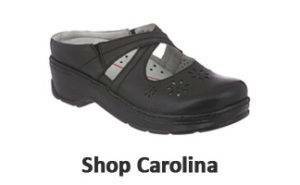 Full-length cushioned, removable footbed to absorb shock and provide additional comfort. Lightweight and flexible with a molded contour toe grip to increase stability. KLOGS are soft, comfortable, washable, and durable. Tested for slip resistance and were determined to exceed the standards for workplace environments. Insoles are certified latex free. 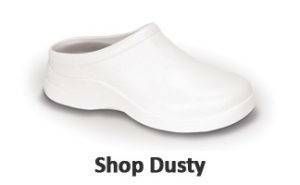 White polyurethane clogs are molded using Perma-White technology ensuring that our white clogs stay brighter 10 times longer than the competition. The polyurethane outsole provides shock absorption and flexibility, is slip- resistant, oil resistant, and protects feet, legs, and back during long hours standing or walking. Slip last construction, provides the same “WOW” Komfort offered in their molded klogs. 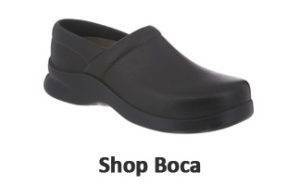 Sueded micro fiber lining and contoured footbeds ensure a pleasant in-shoe experience for feet. KLOGS leather styles offer wider toe boxes for a natural bare-foot feel. Come into any one of our stores, located in Anaheim Hills, Rancho Cucamonga, Riverside, San Dimas, Temecula and La Quinta! Visit us today and try on a pair of Klogs shoes! At Lucky Feet Shoes, we carry many Klogs shoes; wide shoes, heels, sandals, and boots in our stores in Southern California. If you are looking for Klogs shoes in Orange County, the Inland Empire, Los Angeles County, Temecula or Riverside; we have six stores to serve you! Come and visit us today! If you are looking for Klogs shoes in Anaheim, Anaheim Hills, Yorba Linda, Brea, Orange, Placentia, Fullerton, Irvine, Villa Park or Tustin; visit our store in Anaheim Hills. If you are looking for Klogs shoes in San Dimas, Glendora, Pomona, Covina, West Covina, La Verne, Azusa, Diamond Bar or Claremont; visit our store in San Dimas. 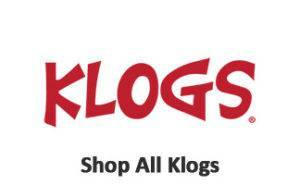 If you are looking for Klogs shoes in Rancho Cucamonga, Ontario, Upland, Fontana, Rialto, Chino, Chino Hills, Mira Loma, Eastvale, Colton or San Bernardino; visit our store in Rancho Cucamonga. If you are looking for Klogs shoes in Riverside, Moreno Valley, Corona, Rubidoux, Loma Linda, Grand Terrace, Redlands or Norco; visit our store in Riverside. If you are looking for Klogs shoes in the Temecula Valley, Murrieta, Fallbrook, Lake Elsinore, Wildomar, Hemet, San Jacinto, Pala, Sun City, Menifee, Canyon Lake, Perris, Bonsall or Anza; visit our store in Temecula. If you are looking for Klogs shoes in Palm Desert, Indio, Coachella, Thermal, Vista Santa Rosa, Rancho Mirage or Bermuda Dunes; visit our store in La Quinta.